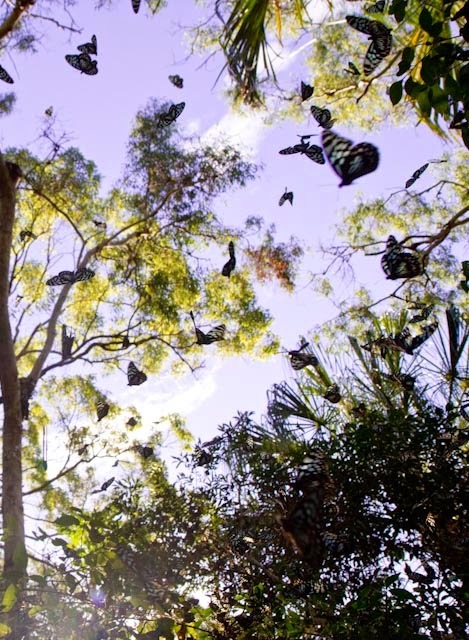 Trees filled with gently fluttering butterflies, sunlight shining through their gossamer wings . . . Lovely fantasy, right? Well it turns out that in the town of 1770, they really do have a butterfly forest. 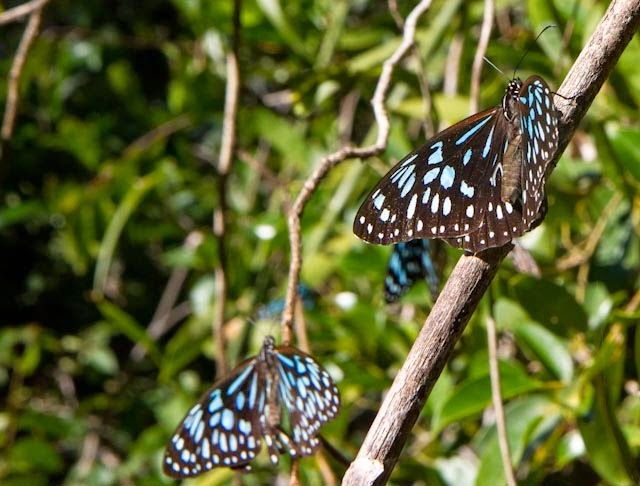 The town is home to hundreds of blue tiger butterflies. We were going on a hike up to see where Captain Cook’s ship, the Endeavour, sailed in, in, you guessed it, 1770. As we were walking, we noticed a few bright blue butterflies. We kept walking and burst into a butterfly blizzard. Not exaggerating in the slightest. The trees were hung with butterflies. They looked like strange, exotic fruit. 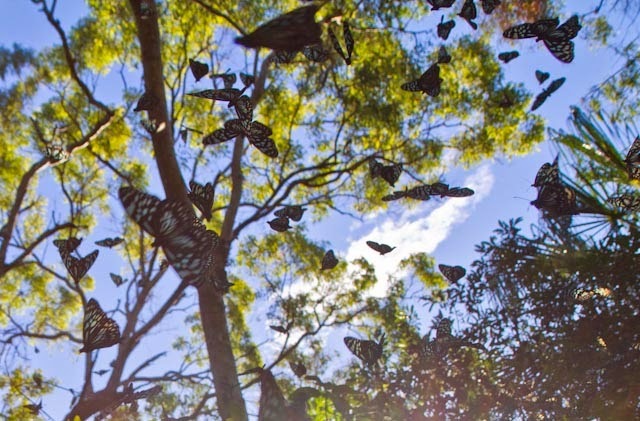 There was a deep gully just off the path and at the bottom, trees that were so thick with butterflies, the trees looked dead, the butterflies disguised as dead leaves. I managed to scramble down the dusty incline with the camera and snapped a few pictures. Ta-da! Our first glimpses of the butterflies . . .
More butterflies . . . 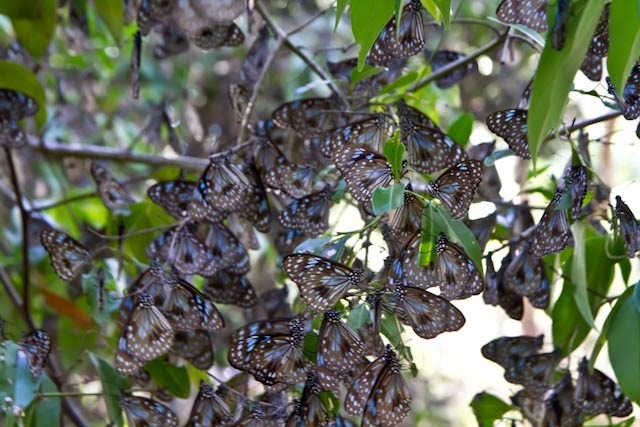 Hundreds of butterflies adorned the trees . . .